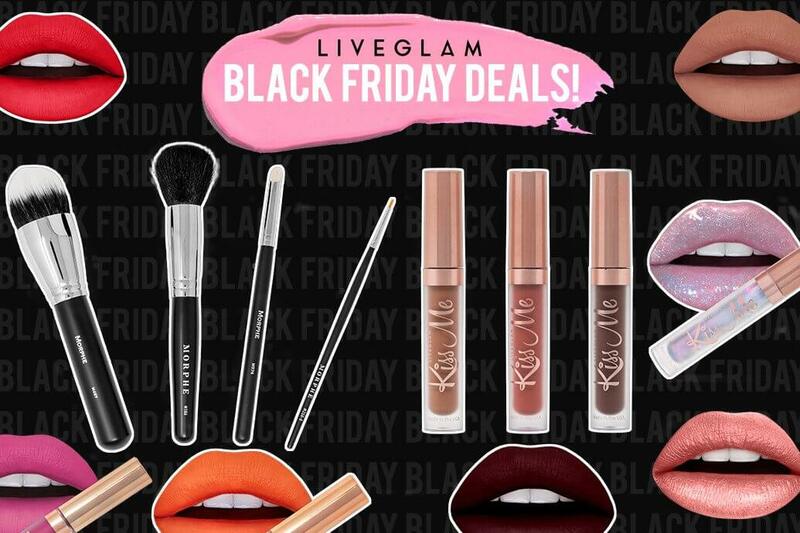 LiveGlam Black Friday Sale! Everything You Need to Know. Hey #LiveGlamFam! Get ready to swipe our best deals of the year. 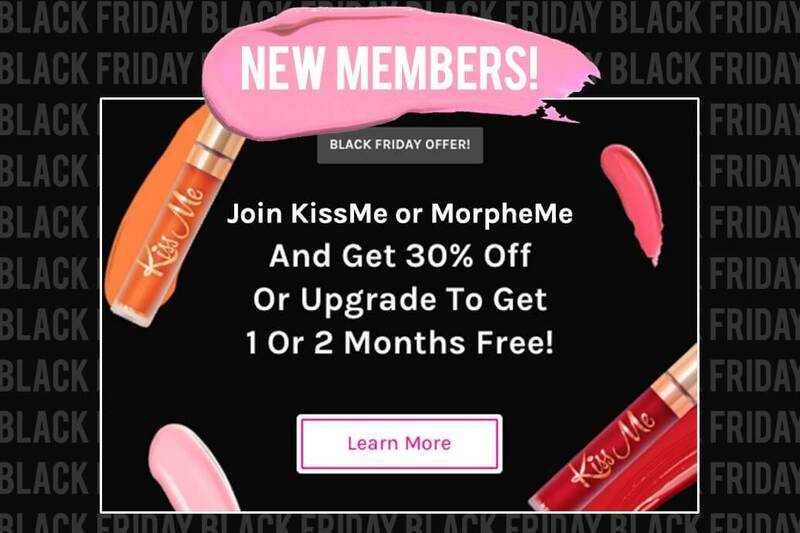 Starting on November 19th, non-members have less than 48 hours to get up to two months FREE when you sign up for a KissMe or MorpheMe membership! And if you’re already a member, you can get up to 50% off existing collections in our Shop page. There’s something for everyone! Keep reading to prep for this glam-azing deal. This year, we’ve decided to get slightly ahead of Black Friday and Cyber Monday by having our sale on Monday, November 19th at 11 am PST. The sale will only last for less than 48 hours until Nov. 20th at 11:59:59 pm PST (or less if we sell out). We have something special for both non-members and existing members, scroll down so we can blend everything out for you! 1 month free for 6-Month Membership! 2 months free for Annual Membership! Please note that you will not receive a free lippie or free brush with this offer! *See more detail under How the Subscriptions Work section below! MorpheMe Brush Club: Click here! KissMe Lippie Club: Click here! If you’re already a member of our #LiveGlamFam, we didn’t forget about you! 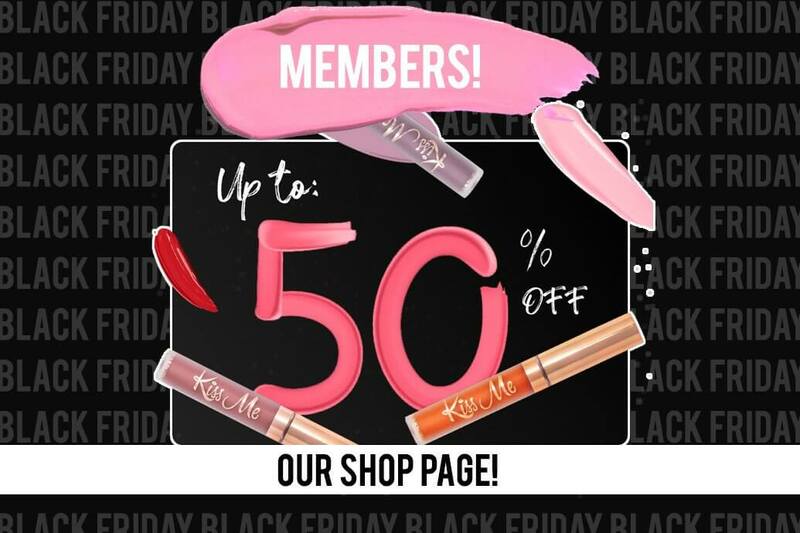 We appreciate you all so much, so we decided to offer 20-50% off existing collections and individual lippies in our Member Shop page, with no code required! Please note that shipping prices will vary. Click here to access 20-50% off on our Member Shop page! You’ll also have the option to upgrade to 6-month or annual plans for KissMe or MorpheMe and get 1-2 free months off as well! You’ll see upgrade options through your LiveGlam Dashboard in the Offers section. Click here to get 1-2 months free by upgrading your membership! 1. Where can you find tracking info? You’ll receive a shipment notification and tracking link as soon as your lippies ship. You can also find this information (along with order status) on your Dashboard page. Log in, head to your Dashboard, and scroll to the Subscriptions tab. If you subscribed, you’ll see your order history under the KissMe tab. If you purchased in Shop, scroll a tad further to get to the Non Subscription Orders section. Click the “eye” next to your order number, and you’ll get updates on the order processing (and if it’s shipped, you’ll also find the tracking link!). 2. How long does it take to get your lippies? In true holiday form, this part can get a bit complicated. Please keep in mind that due to the holidays, there may be processing AND shipping delays beyond our control… but it’s so worth the wait! We normally ship all orders in true LiveGlam form- within 2 business days of your order. Once they ship out, you’ll get an email with a tracking link so you can keep a close eye on them. Domestic orders should take 4-6 days to process, and up to 10 business days depending on where you live and your local carrier. International orders take about 7-10 business days, and up to 20 business days depending on local carriers and customs. Once it’s in transit, we cannot control delivery times but are using expedited services! No matter what, we’ll be working ’round the clock to get your orders to you as soon as we can! 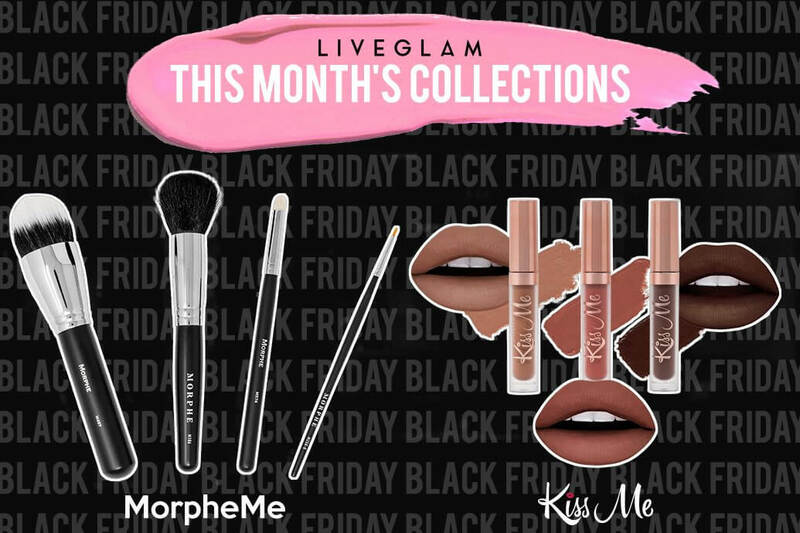 KissMe and MorpheMe are both monthly subscriptions. As a member of KissMe, you’ll get a brand new collection featuring 3 lippies delivered straight to your door every single month. You’ll love our cruelty-free, vegan, flexible, hydrating, and delicious-smelling formula! With your membership, you can trade lippies, skip a month, and cancel anytime. It’s also the perfect way to quickly expand your lippie collection (you’ll get 36+ lippies every year!). As a member of MorpheMe, you’ll get 3-8 new authentic Morphe brushes delivered each and every month! Not only are they amazing quality, but you’ll also get a variety of brushes to really build up your collection. You can trade brushes or whole collections, skip a month, and cancel anytime! On every 23rd of the month, a new KissMe and MorpheMe Collection launch with fresh new shades and brushes! If you sign up today, you’ll be charged again in about 1 month to receive your next Collection. For example, if you sign up on November 19th, your next payment will be December 19th for our December lippies or brushes. You can also always change your billing date through your Dashboard if you want to get your goodies sooner! *Please note that if you sign up for a Club with a special promotion and cancel before your next billing date (1 month after you sign up), you will be charged a $7 non-member fee since the special member pricing is only for Glammers who want to be a part of our monthly clubs! What happens if we sell out? What is the waitlist? If our Black Friday sale sells out, the sale will be over and you will have the option to enter our waitlist. Unfortunately, you will no longer be able to get our Black Friday deal, but we still highly encourage you to join the waitlist since our December and January collections are incredible (something you’ve never seen before!). While we can’t guarantee when you’ll get off the waitlist, we always try to ensure no one is waiting longer than one collection to join the club. Plus, if you join the waitlist, you’ll become eligible for our members-only Shop deals, which are still available as supplies last. Let us know if you have any questions about this! Don’t miss out on these amazing deals! Set your alarms, prep your lips for greatness, and get ready for the ultimate Black Friday beauty busters. See ya at checkout!